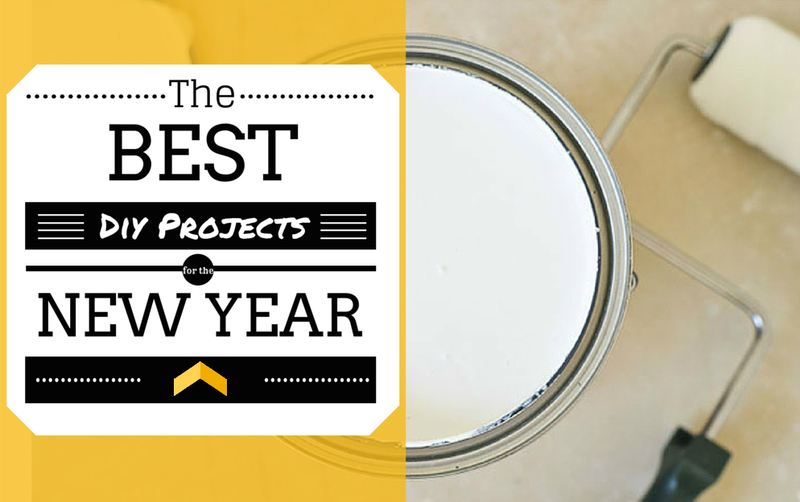 It doesn’t mean we don’t luuuuuv PB – just that Ikea is what we can afford. 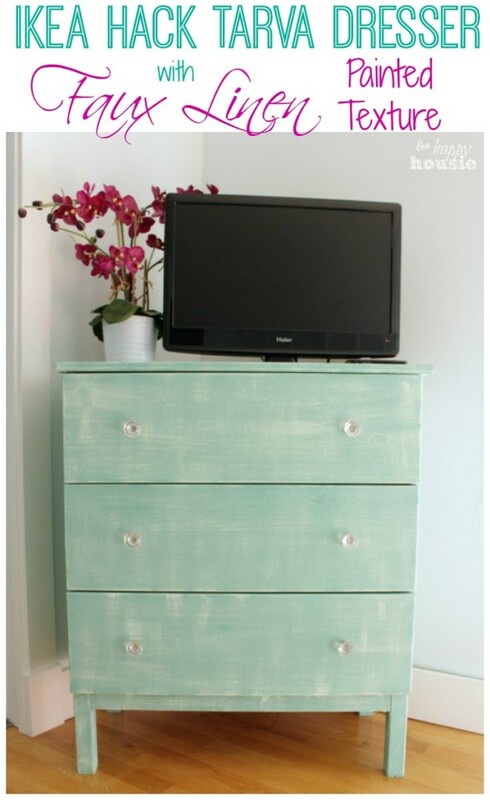 And if you are decorating your home on a budget, then there is always room for a good Ikea hack or two. 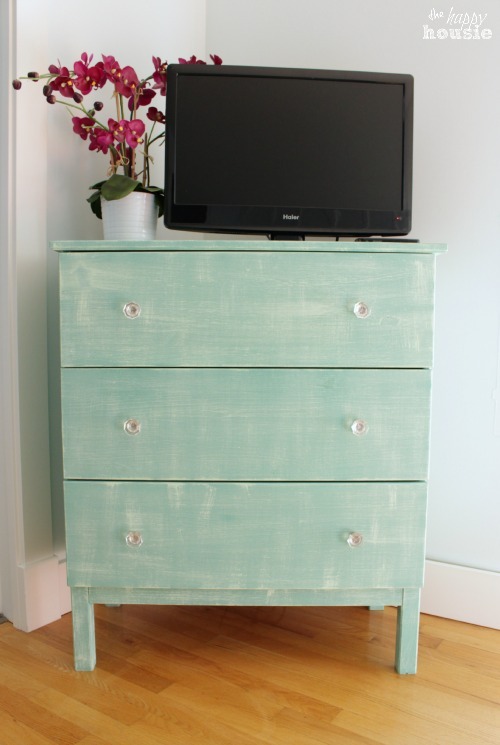 Like this cute little IKEA Hack Tarva Dresser with a faux painted linen texture that I created for our Master Bedroom using the Country Chic colours Bliss and Refreshed. It was a quick and easy painting project that turned out better then I had hoped, and I love how it works with the colour scheme we have going on these days in our bedroom. And have you heard of Porch? Porch is a home network that allows you to find the right professionals, get inspired, and manage your home… for free. It combines inspiration, resources, reviews, and access to the professionals you need in one place. Well, today, Porch is featuring my dresser project as part of “5 Bloggers on the Best DIY Home Projects to Tackle this New Year“. Thanks, Porch! And if you are here from Porch, then welcome! 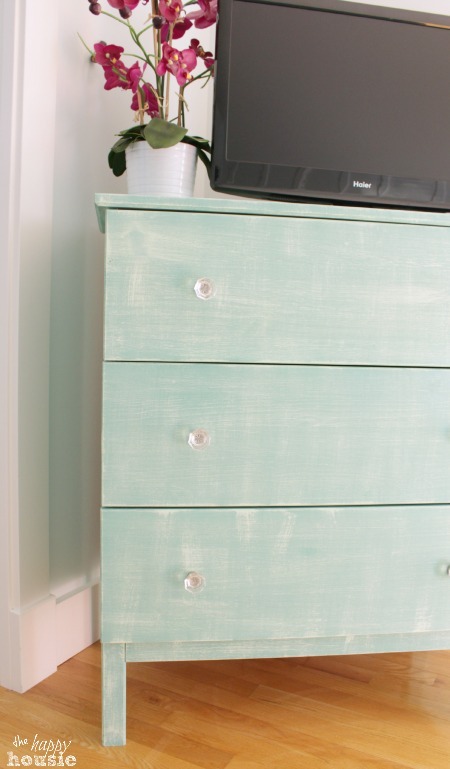 Now, if you are a regular reader, then you probably know that I have been working on redoing our Master Bedroom using tones of turquoise, mint, and coral so I wanted to bring in some of those colours in this dresser. Since the shape is so simple and flat, it did not lend itself well to distressing but I wanted to add some interest in the paint. I decided to use a dry brushed technique with Refreshed (mint) over top of Bliss (teal/turquoise) to give the piece some dimension and interest. 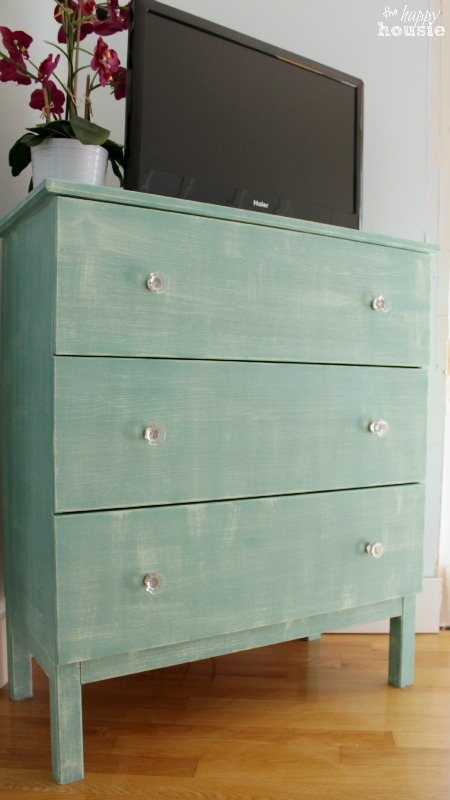 We bought this simple little Tarva dresser at IKEA recently and it started out in plain, unfinished pine. 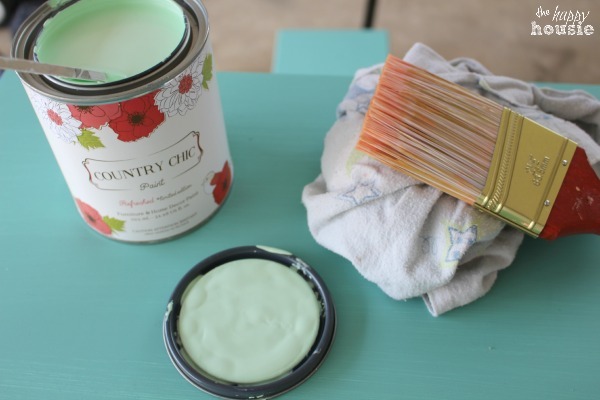 I love how I don’t have to prime bare wood first when using Country Chic paint. Priming is a step I will very happily skip if I can. 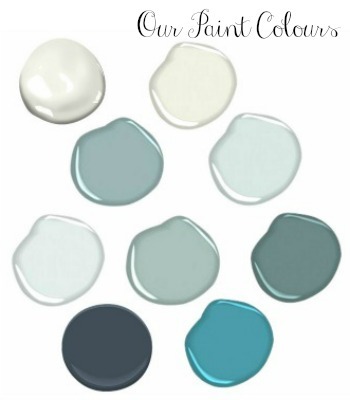 I started with two coats of my absolutely favourite Country Chic colour, Bliss. Seriously. I LOVE this colour. I keep having to stop myself from painting EVERY piece of furniture in our house with it. 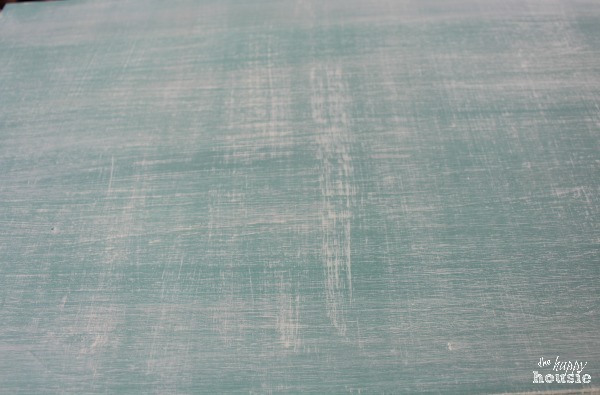 Once the BLISS was dry, I added a layer of the minty colour called Refreshed over top. To create the faux linen texture, I dipped my brush in Refreshed, and then cleaned off most of the paint on the edge of the can. I started by going in one direction with my brush strokes, adding more paint to my brush as needed – but always keeping the brush quite dry. 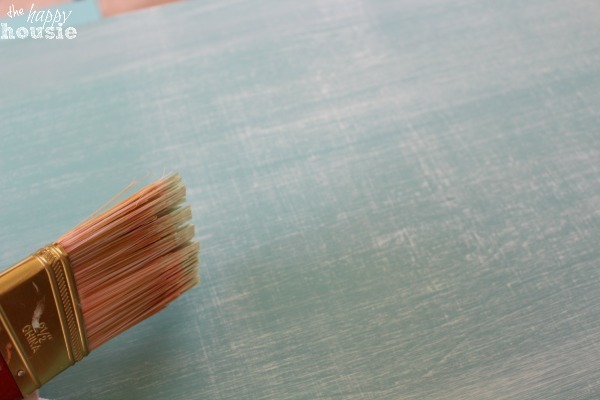 After I had gone in one direction across the dresser, I went back and dry brushed in the opposite direction, creating almost a woven or linen-like texture to the paint finish. Done! 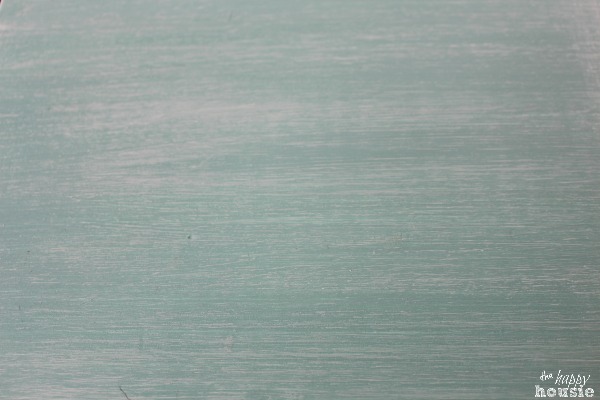 I think you could achieve a similar look by dry brushing white over top as well, it wouldn’t have to be a minty tone to look great, though I think the contrast is softened because the two colors were fairly similar in tone. I added some pretty new glass knobs and I think the whole piece is completely transformed. 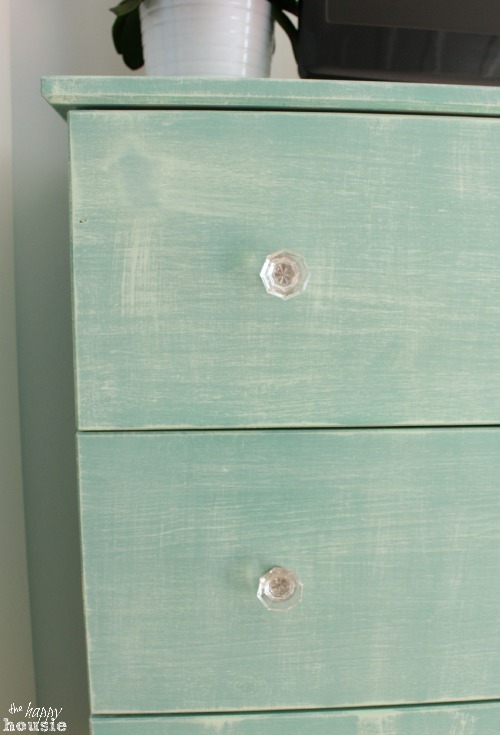 I love how the textured looking paint finish adds so much dimension and interest to a really flat simple dresser design. 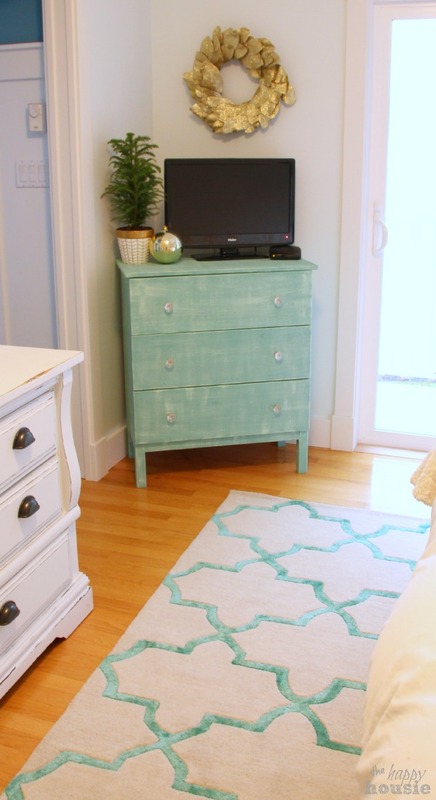 My favourite thing about this dresser is how well it works with our new rug…. Remember, today, Porch is featuring my dresser project as part of “5 Bloggers on the Best DIY Home Projects to Tackle this New Year“. 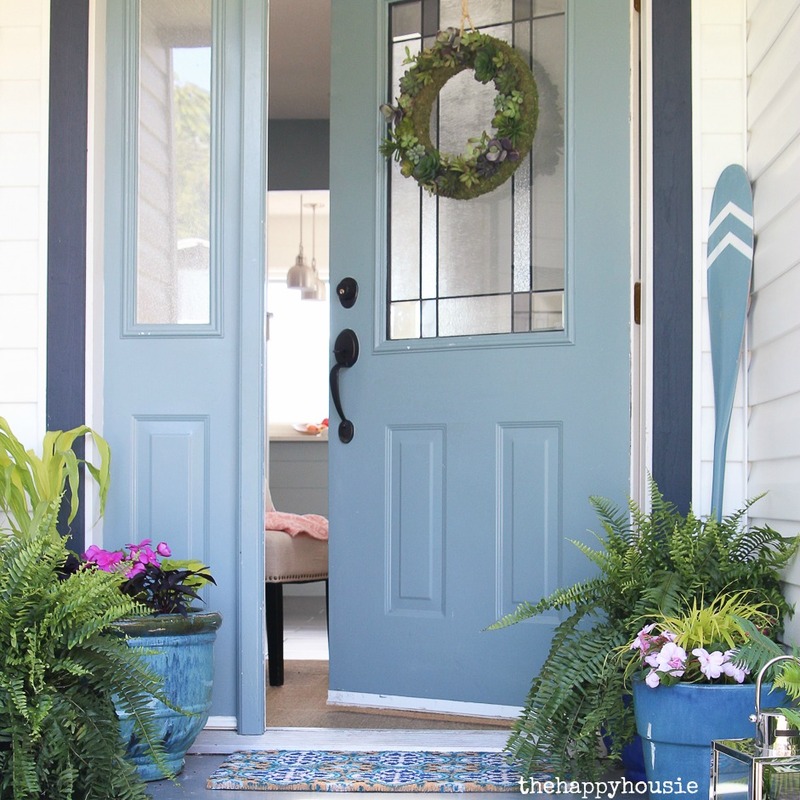 Head over to Porch see what the other four bloggers being featured are sharing as part of their DIY for the New Year! « Work it Wednesday with Features! I am “IKEA people” too! I love this treatment! This is beautiful! I love how you created the linen texture. 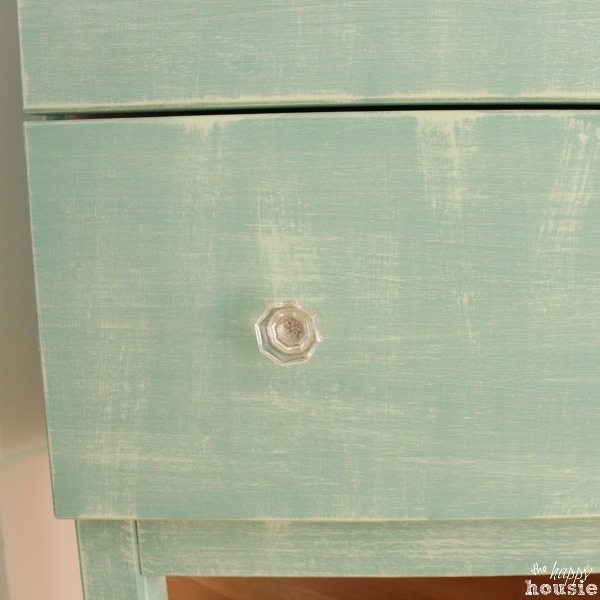 I had the same issue of the paint being kind of flat when I did an Ikea Rast Hack and had to use steel wool scrubbers to get a distressed texture after trying all my usual methods. I’ll have to steal your technique next time! Thanks for sharing! 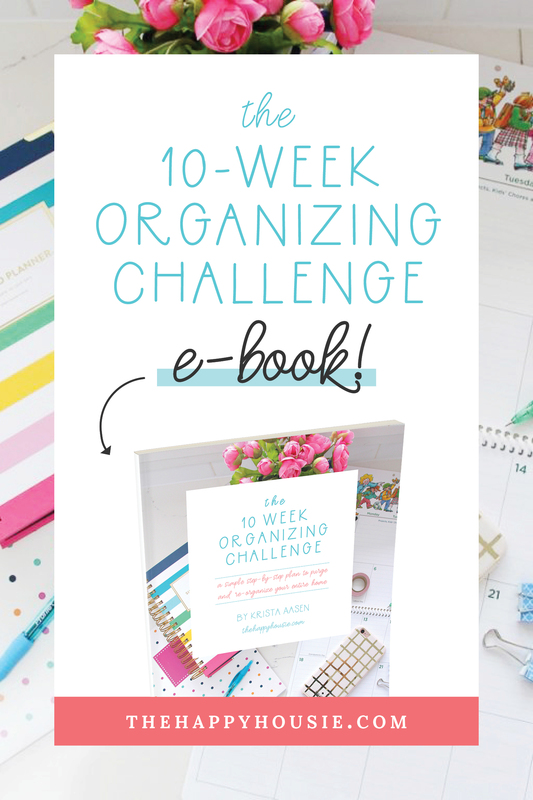 Love how this tuned out, Krista! Beautiful color, too. LOVE the colour! Nice job Krista! Krista, I hope my comment didn’t get sent twice – it timed out on me. 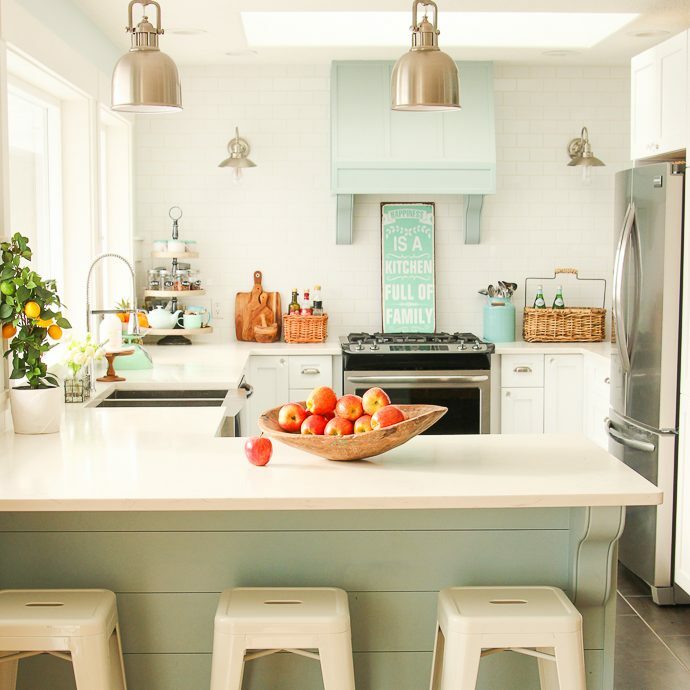 I really like the Bliss and Refreshed paint colors together – so pretty. 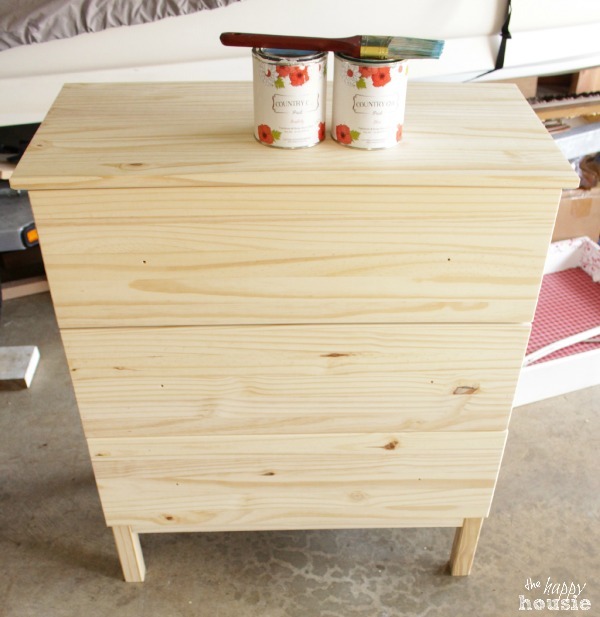 I’m redoing an IKEA Rast Dresser for my daughter to use as a change table for my grandson who is due in 10 weeks (can’t wait). She wants it painted green but you’ve inspired me to add some dimension by dry brushing another color over top. 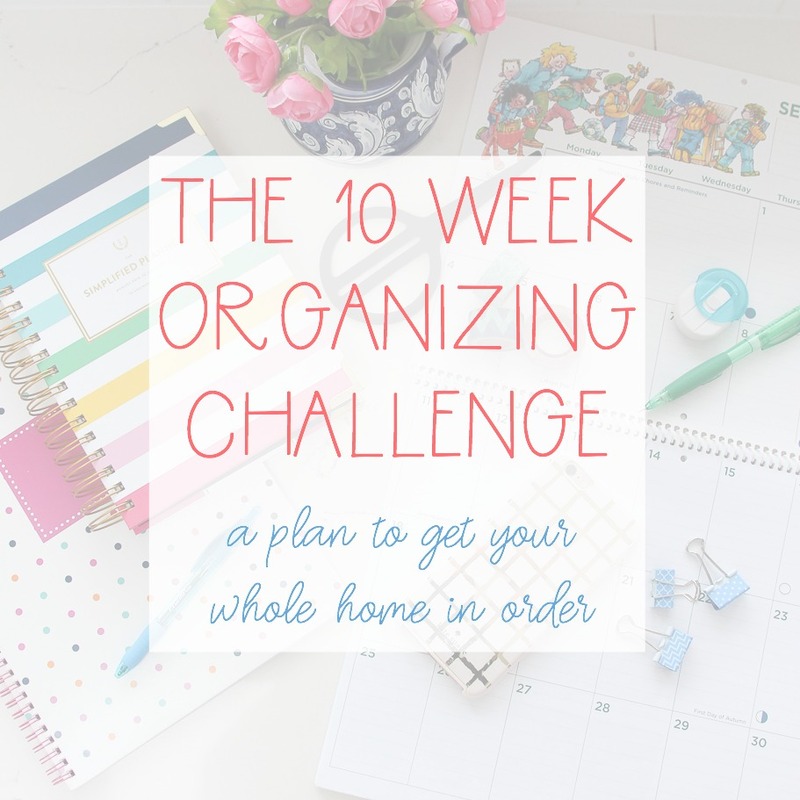 Thanks for the inspiration, it couldn’t have been more timely! Hi pretty mama, it’s been awhile! Had to check out your dresser after seeing on FB and it turned out gorgeous! Love the color and especially love the technique you used. SO pretty! LOVE, LOVE, LOVE the texture on this piece Krista! SO beautiful!!! 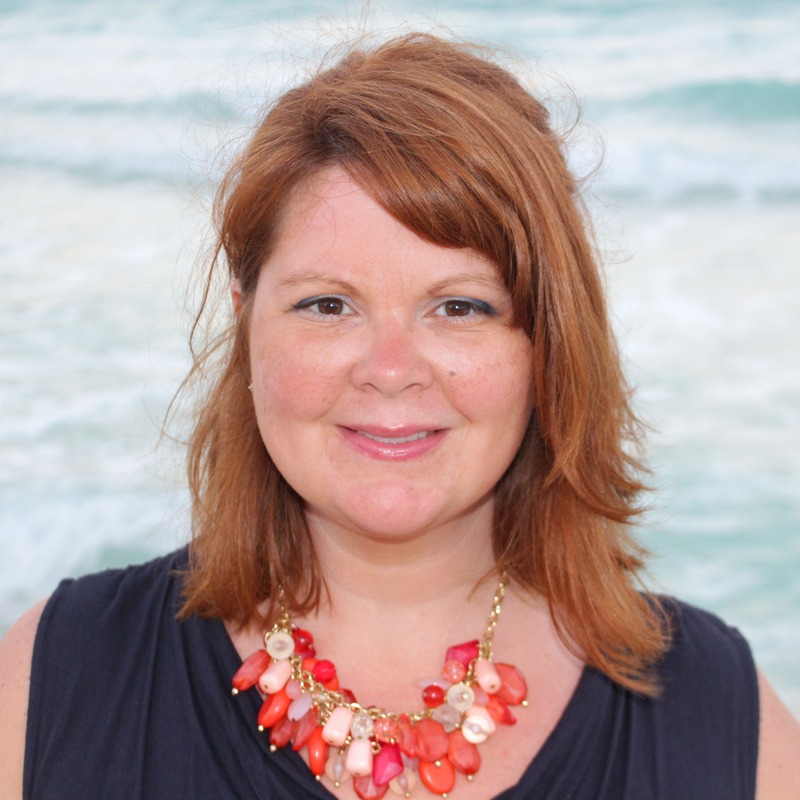 love how this looks, krista! great colors and texture!